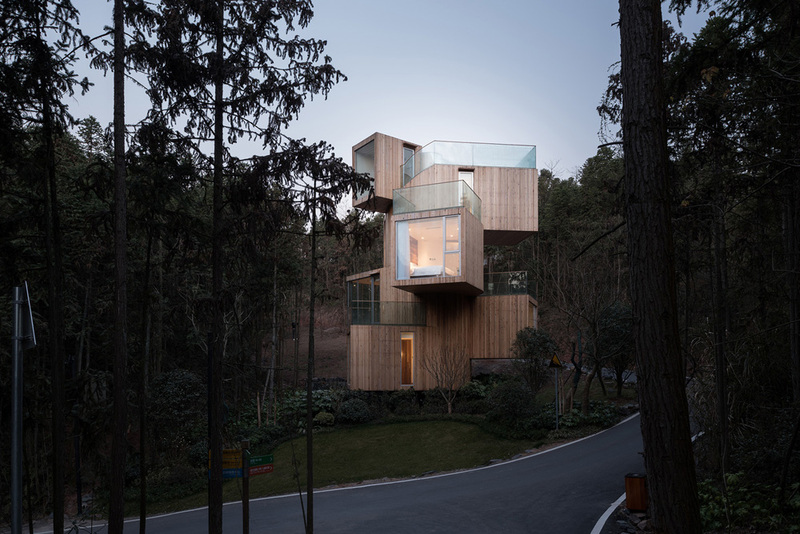 "Qiyun Mountain Tree House" is a design by Bengo Studio Constitutive Architects. It connects two families with its natural environment. It is located in a forest of red cedars, 33 kilometers from the city of Huangshan, in the province of Anhui. A red cedar can reach, in its maturity, eleven meters high. 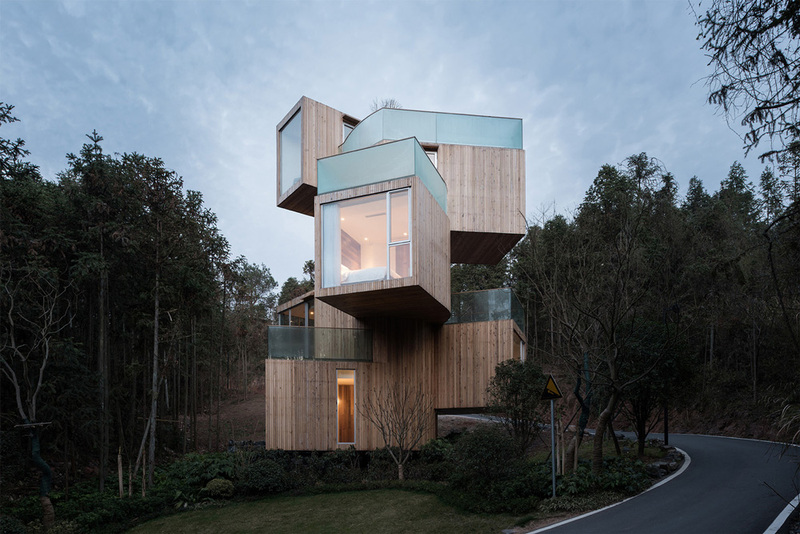 With the same height the "Tree House" contains two bedrooms and two bathrooms, isolated from each other by the entrance hall, to offer privacy to two groups of people. In the upper part there are two spaces that are shared. 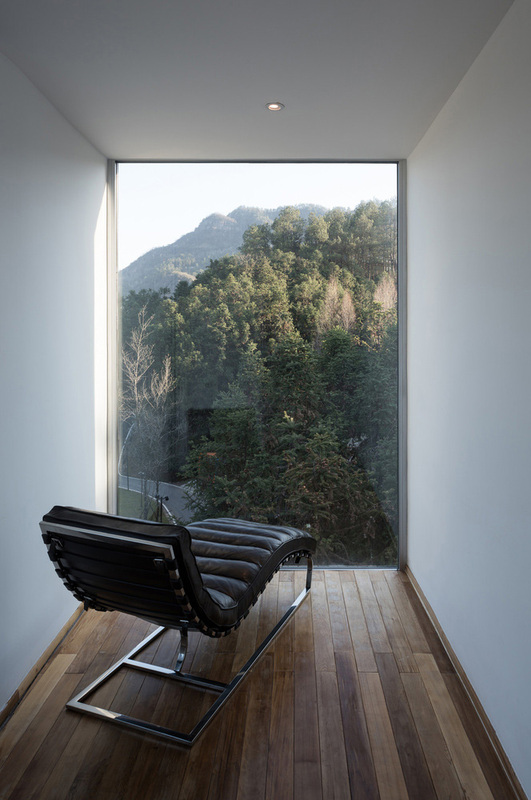 A living room and a gazer that connects people with the landscape. The size is in a range of six to nine square meters. 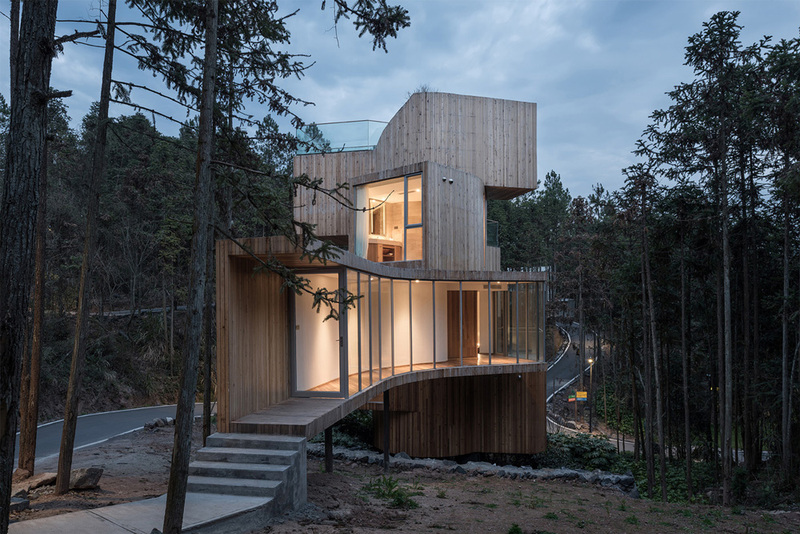 A spiral staircase, as if it were the trunk, supports the house, composed of a piece of steel. The wooden elements are made by the local lumber, this way the resistance to the environment is guaranteed. The rooms are small. This does not bother because a window of the same size of the wall transports the view towards the forest. The same happens when people move around the central staircase, have a visual experience of the forest, in 360 degrees and at different heights.